2013 is the year of content marketing! Huzza! Break out the disco ball, it’s time to party! Content marketing isn’t sales. It isn’t advertising. It isn’t high pressure, icky, sleazy, or any other negative word you can think of. 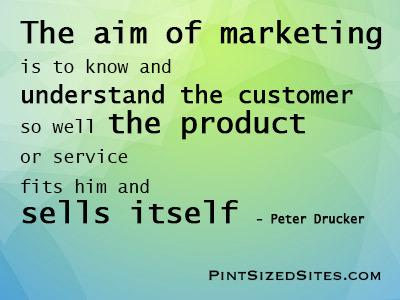 Marketing is promoting a product or service. Marketing is explaining how your product or service solves a problem, fills a need, or scratches an itch. If you do it right, the people who have that problem won’t need much selling to. Back when I was in marketing at AT&T, I designed product brochures, worked with ad agencies, and taught sales people about the product. We designed a few pieces of marketing materials and handed them off to the sales force who did classic selling. Content marketing isn’t like that. Content marketing is educating your customers. Filling in the gaps in their knowledge. Talking to them and answering their questions. 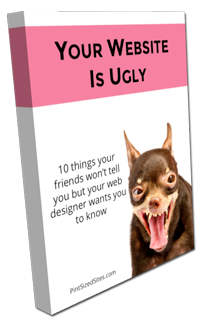 I’ll bet Pint Sized Sites could help me with my website. How’s that for transparent marketing! Content marketing is all of the stuff you put on your website. That’s a lot of stuff: the home page, about page, products page, contact us page, FAQ page. Too many businesses see this as a burden to be gotten done as quickly as possible and then left alone. Then they wonder why their websites don’t make them any money. That’s a lot of opportunities to talk to your customers about how you can help them. So, why is Content Marketing so important? In the past, you could play some games, like keyword stuffing and buying inbound links, to get the search engines to send people to your website. That doesn’t work any more. First, the search engines have figured it out and quit rewarding people for the games and, second, web visitors have figured out what a crappy website looks like and will quickly leave if there is no value for them there. That’s where content comes in. If you write something that people value, they’ll stick around and look at your other pages. They’ll share it with their friends on Facebook and Twitter. That generates word of mouth. That’s what the search engines look for to help you rank better. Want to turbo charge your content marketing? Add a blog. Post on a regular basis. Post by post you will increase the amount of valuable content on your website. You’ll be able to address questions as they come up. You’ll be able to discuss news items and new research immediately. You’ll be able to talk directly to small groups of customers. How are you going to get into content marketing this year? Are you looking at updating your website content? Are you looking to add a blog or increase your blogging frequency? Let me hear your plans in the comment section below.